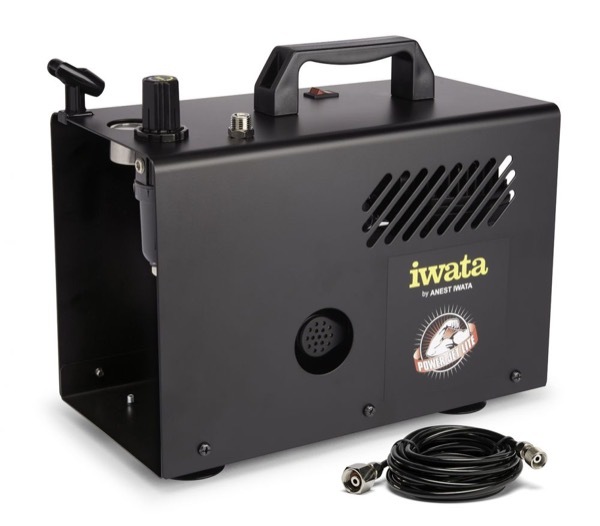 The Iwata Power Jet Lite airbrush compressor features auto-shut-off technology. The air regulator adjusts to precise specifications and produces a working pressure of 1-50 PSI. The strong, protective outer case adds durability. Built-in airbrush holder and Iwata airbrush hose included.